Polish-Jewish heritage, 2018 - 2019 tours to Poland - discover exciting Poland with us! Your arrival to Warsaw, where you are welcomed by our guide-driver. Time to relax and a Warsaw city tour: Jewish Cemetery, The Warsaw Ghetto Memorial, Anielewicz’s Bunker, the Judenrat Building, Umschlagpltz and Nożyk Synagogue. Dinner and an overnight stay at your hotel. Breakfast. Departure to Tykocin with our guide-driver. Your visit program includes the Synagogue dated on middle of XVII-th century, now completely renovated. Next drive to Treblinka - place of German Nazi concentration camp from II World War. Afternoon return drive to Warsaw for your dinner and overnight stay at a hotel. Breakfast. Next, departure with our guide-driver to Kazimierz Dolny, where you visit the Synagogue (dated on XVIII-th century), Jewish cemetery and the picturesque Old Town. Afternoon visit to Majdanek - a former concentration camp during World War II, where 200 thousands Jews were murdered by German Nazi. Next your drive to Lublin for accommodation at a hotel; short city walk possible. Dinner and overnight stay. Breakfast. Departure for southern part of Poland. Your visit to Łańcut for a walk in Potocki’s Garden to the Old Synagogue, which presents nowadays a large collection of Judaics. Next, continuation of your drive to Krakow. Dinner and an overnight stay at hotel in Krakow. Breakfast. Your visit in Krakow starts at Kazimierz – a former Jewish district. The city walk with a guide: the Old Synagogue, Remuh Synagogue with cemetery and Old Market Square. Dinner and an overnight stay at your hotel. Breakfast. Departure to Auschwitz – Birkenau - the former German Nazi camp during World War II. Your visit to the National Museum includes a visit to two parts of the camp and a documentary movie. Afternoon departure with your guide-driver to Łódź in central Poland, for a dinner and an overnight stay at a hotel. Breakfast. Your sightseeing tour of Łódź: the Old Town (former place of Jewish Ghetto), the Jewish cemetery (the biggest in Europe, with over 160.000 buried persons), Poznanski’s residence. Afternoon time to relax. Farewell diner at evening and an overnight stay at a hotel. Breakfast. Morning transfer to the airport in Łódź or in Warsaw for your return flight or stay in Warsaw. Tour dates: this tour may start everyday, between April 1st and November 1st of 2019 on your request. Prices: 1720 $ / person (4-5 person group) - NOW USD 1590 / PERSON ! 2280 $ / person (2-3 person group) - NOW USD 2050 / PERSON ! For more tours offer look at Jewish heritage tours and local tours in Warsaw and Krakow. Lublin with its 350,000 inhabitants is the largest Polish town east of the Vistula and an important centre of science, culture and business. The old town with its picturesque medieval streets is worth a closer look. Lined with beautiful 15th and 16th century houses, the town square has many atmospheric cafés scattered around. The old town hall was remodelled in neoclassical style in the 18th century. The Lublin castle dates to the 19th century, but its massive round tower and chapel are respectively from the 13th and 14th centuries. Today the Museum of Polish Painting, Folk-art and Archaeology occupy them. 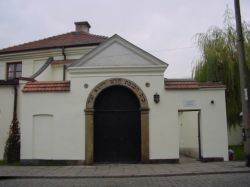 Lublin used to host one of the major Jewish communities in Poland. The monument on Plac Ofiar Getta commemorates Jews murdered by the Nazis during WW II. Not far away from the centre, in the district of Majdanek, the German occupants created in 1941 one of the largest extermination camps; after the war the site was turned to a museum and a big memorial to the victims was erected. Where cultures meet. The Old Town has preserved its medieval urban layout with many churches, burgher houses and gates. The Lublin royal castle’s showpiece is the Holy Trinity chapel (14th c.) with the unique Russo-Byzantine frescoes. Many museums. The suburban skansen presents old rural architecture and collections of artifacts from the region between the Vistula and the Bug River. Łódź with its 786,000 inhabitants is the second largest city of Poland. In the 19th century, textile factories began developing here with unimaginable rapidity. A testimony of industrial architecture, they carry the same message as the superb palaces of their former owners and still well preserved workers’ housing estates. Among the most glamorous residences are those of banker Maksymilian Goldfeder, publisher Jan Petersilge and factory-owner Juliusz Heinzel, all located in ul. Piotrkowska. In the same street stands the Grand Hotel, one of the largest and most modern European hotels erected at the turn of the 19th century. At the far end of ul. Piotrkowska stands the White Factory – today home to the Museum of Textile Industry. The mansion of Leopold Rudolf Kindermann at ul. Wólczańska 31 passes for one of the most stunning Art Nouveau masterpieces in Poland. The former Poznański family palace at ul. Więckowskiego 36 is housing a most intriguing collection of Polish modern art. Another palace and a former property of the factory owner Israel Poznański at ul. Ogrodowa 15 is occupied by the Historical Museum of Łódź. In its side wing is a museum of Arthur Rubinstein, the famous pianist and composer born in Łódź. The residence known as Księży Młyn is a good example of the economic leap performed by 19th century Łódź. After the costly renovation, the palace, situated at ul. Przędzalnicza 72, was turned into a museum presenting life of the Łódź factory owners to an amazing detail. At ul. Bracka 40 stretches one of Europe’s largest Jewish cemeteries with as many as 180,000 graves. The city is metamorphosing into a modern cultural metropolis. By young people, it is now mostly associated with techno culture. Around Piotrkowska street spreads the area of club life with its stock of bars, clubs and discos. The city is also known for its Film Academy, which boasts Roman Polański as one of its best renowned graduates.